Green Councillor Phélim Mac Cafferty has urged the council to do more to support community energy projects as a government scheme designed to promote renewables comes to an end. Greens have expressed concern that moves to scrap the scheme may affect local sustainable energy projects that have brought affordable, renewable energy to households in the city and helped to reduce carbon emissions. Referring to a recent council decision to adopt a ‘climate emergency,’ Greens say work with community energy groups must be a priority so that progress on renewables can continue to thrive after the FiTs closes. “We’re at a critical juncture in history. A recent report from the UN’s ‘Intergovernmental Panel on Climate Change’ (IPCC) said that humanity has until 2030 to radically address climate change or face irreversible catastrophic consequences. “Individuals can often feel isolated and powerless about this, but together, we can build a strong movement that puts power back in the hands of local communities. “Community energy groups like BHESCo are perfectly positioned to support local residents in the transition to clean energy because we know what works for Brighton and Hove and we understand people’s needs. “It should be a source of national shame that so many people are forced to choose between heating and eating. On top of this, we know our reliance on fossil fuels for energy is exacerbating climate change. “Access to sustainable energy is vital to help keep our residents fuel bills down. 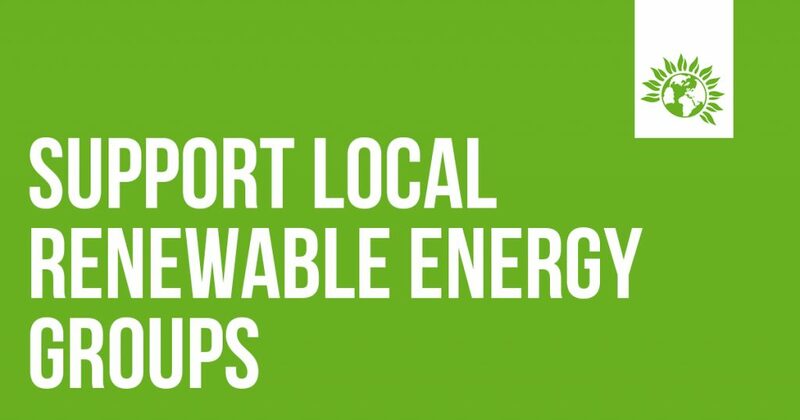 Renewable energy run by, and for, our community offers all of us the opportunity to combat climate change, bring down fuel bills, improve energy efficiency and reach people in fuel poverty. Organisations like BHESCo are even able to look at pioneering new projects that will see food waste generate low cost heating for residents struggling to heat their homes. In a YouGov ClientEarth poll  from August 2018, two thirds are in favour of breaking up the Big Six’s share of the energy market to favour smaller, cleaner, and locally owned energy systems. The poll also indicated that over 60% of U.K. households want to install solar plus storage solutions.